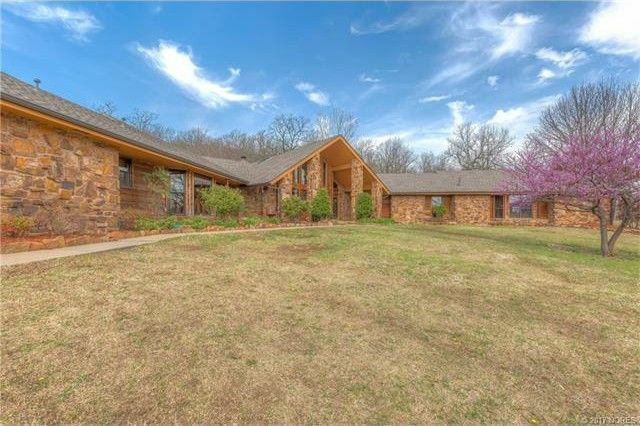 Move in & LIVE in the stunning totally remodeled retreat tucked away on your own private 10 acres in the rolling hills of Osage County. Heated travertine floor, hand scraped hardwoods, wood ceilings, 30X40 shop, barn, tack room, shed, in-ground pool!! Directions: US 412 exit off highway 97 W of Sand Springs, drive North to W 62nd Pl N and then West turn left on Pecan follow Rt. Take a left on N Walnut. House will be on the right at the end of the street.